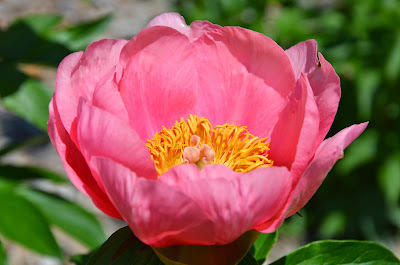 I was really amazed by the performance of Peony 'Lovely Rose' this week. The color is just gorgeous - a delicate, almost coral, light pink. 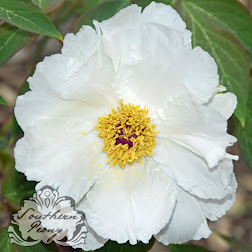 The petals are all neatly arranged on every one of its flowers, each flower sitting high above the lovely green foliage. I was just so drawn to it that I couldn't stop taking pictures of it. 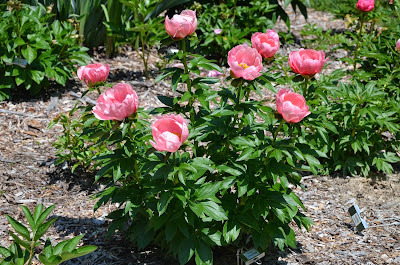 It even made this list of my favorite Peony Blooms - Early Mid - Week 3. Peony 'Lovely Rose' is a Saunders hybrid peony that is semi-double and blooms early. 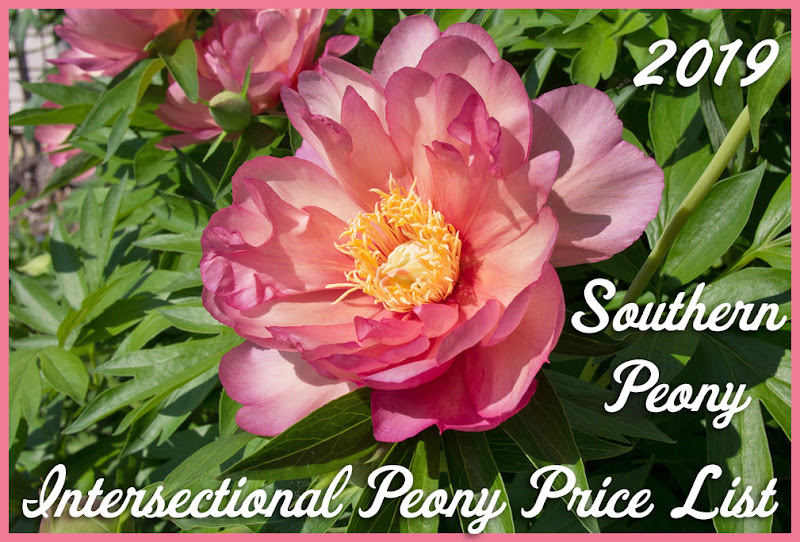 This is a great peony selection for the early blooming peony garden that will give you beautiful colored, symmetrical blooms on medium green, upright foliage.